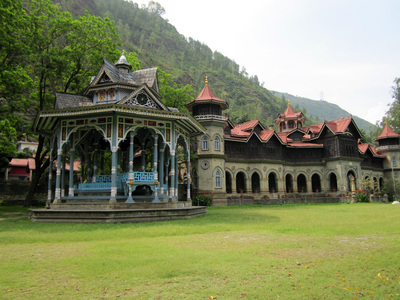 In a narrow valley lies Rampur- a busy urban center with a palace on a sprawling ground that is slightly elevated from the national highway that just skirts around it. 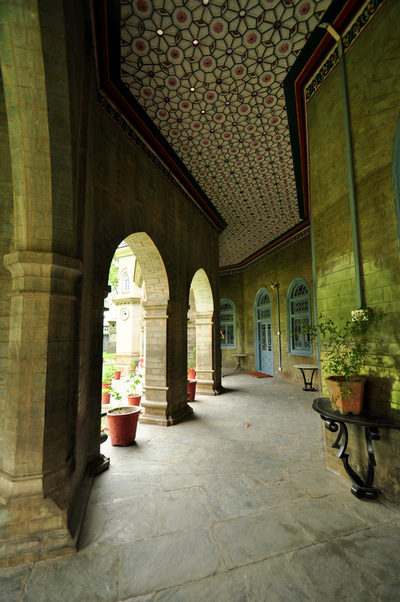 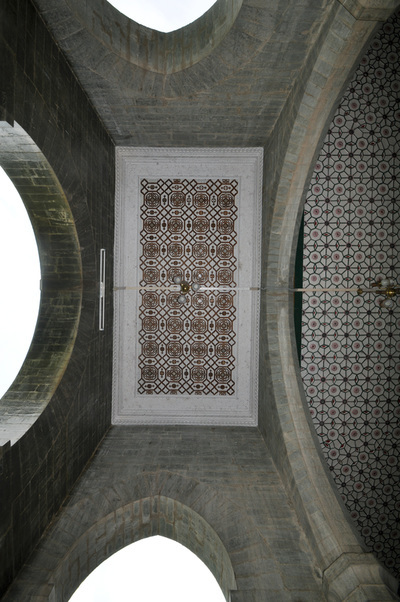 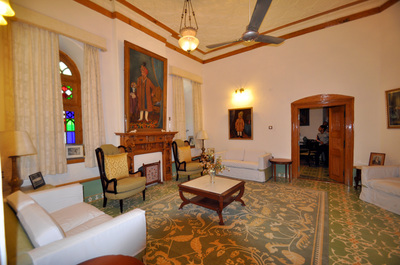 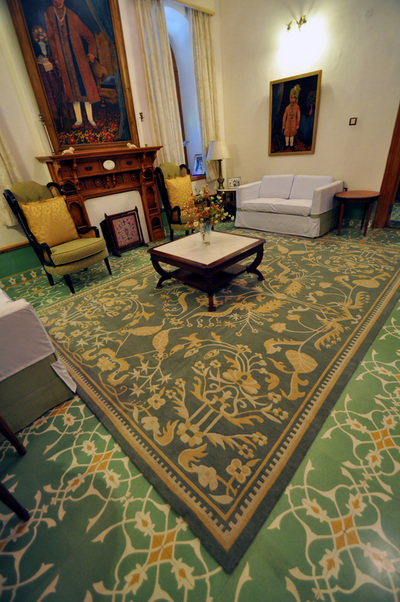 The Padam Palace is a curious mix of traditional and foreign motifs and materials. 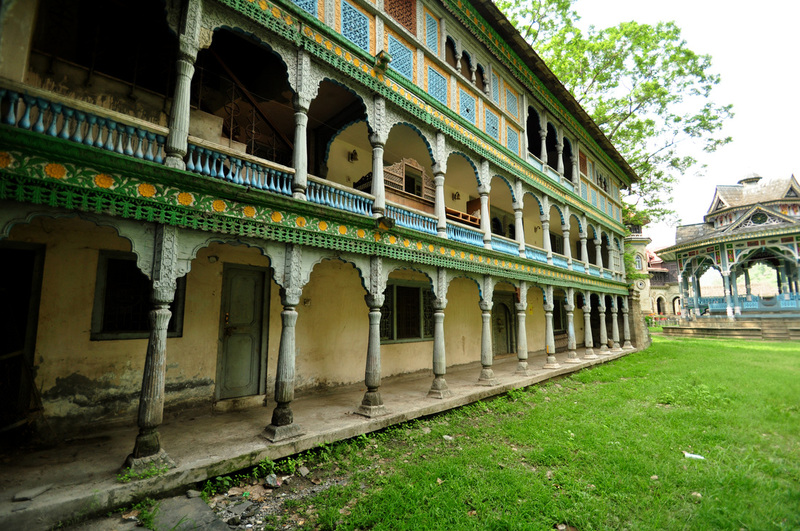 However this is just the public edge of palace, a more traditional compound remains hidden from view at the back of the palace behind a solid high wall. 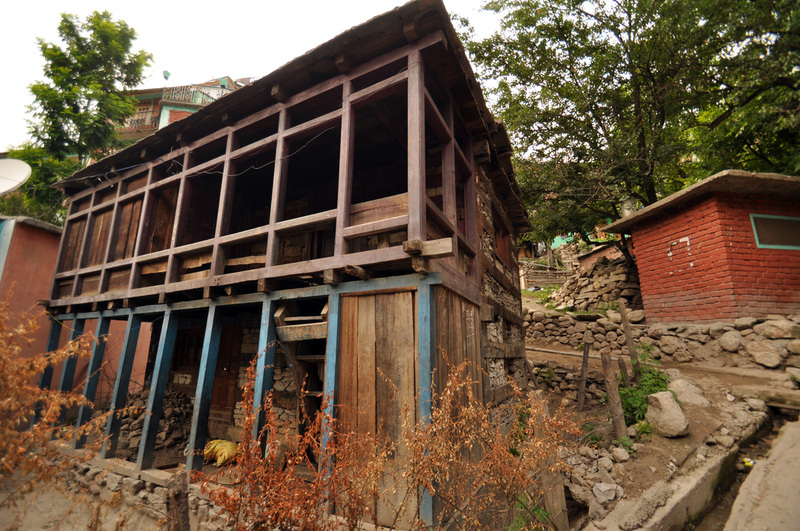 Some of the older structures still survive in smaller buildings closer to the entrance gate. 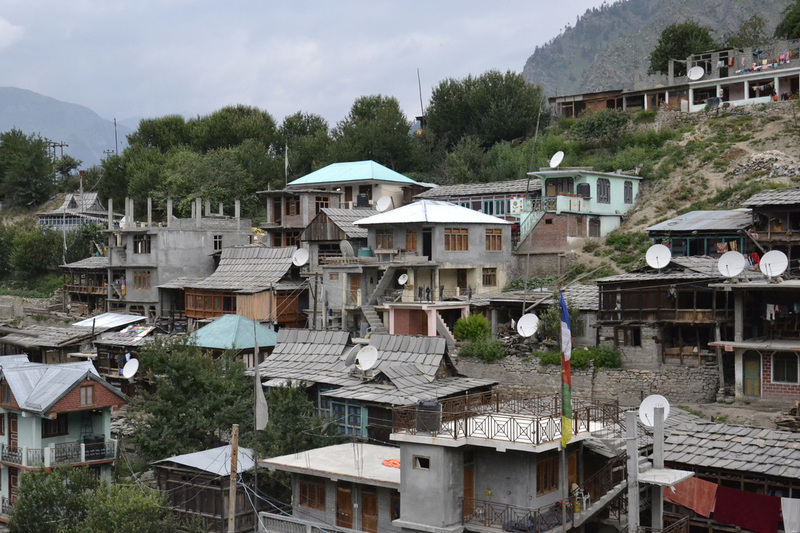 ﻿The approach to Sangla brings into view a terrace edged with modern shops and buildings that could be almost anywhere in a small town in India. 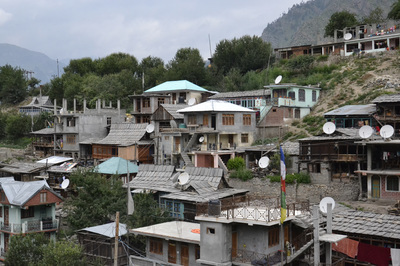 The real village of Sangla though hides behind those shops along the slopes going down to the river. 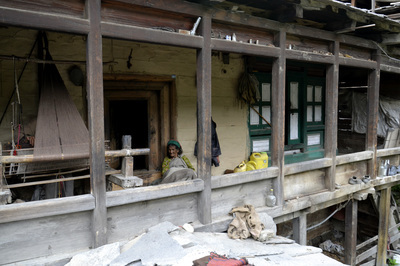 This is the place where very fine wood carvers are to be found carrying on generational traditions and craftsmanship. 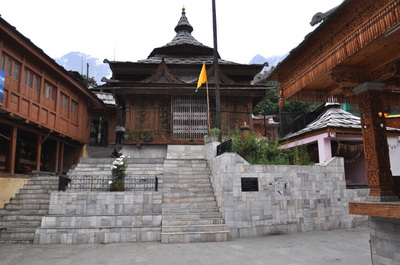 In between wooden buildings of Sangla lies a remarkable temple of Nag Devta.